Unleash the dark side of your creativity with cool monster faces! How horrid can you make yours? Hairy eyebrows, dreadful fangs and gloopy nostrils. Waggling tentacles, gnarly claws and boggle eyes. 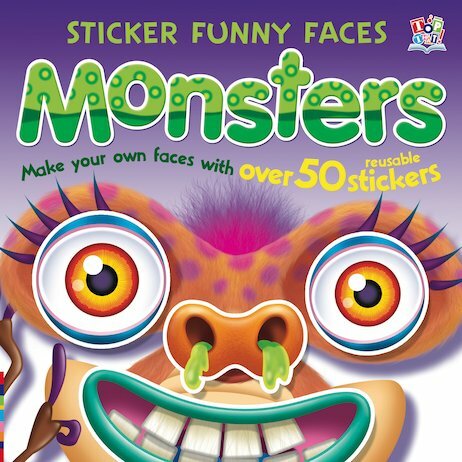 Mix and match these hilarious monster stickers to see how many freaky fiends you can come up with. With over 50 reusable stickers, there are hundreds of crazy creatures to make! Got a set of these for Xmas for our 4 year old and she loves them. It’s great that the stickers are reusable (although adult supervision is required to pull them out) and funy faces made make us all laugh!